Gone are those days to celebrate your functions, parties in Functions halls and open grounds. Now the new trend in going to be set up in Amaravati, the capital of Andhra Pradesh. 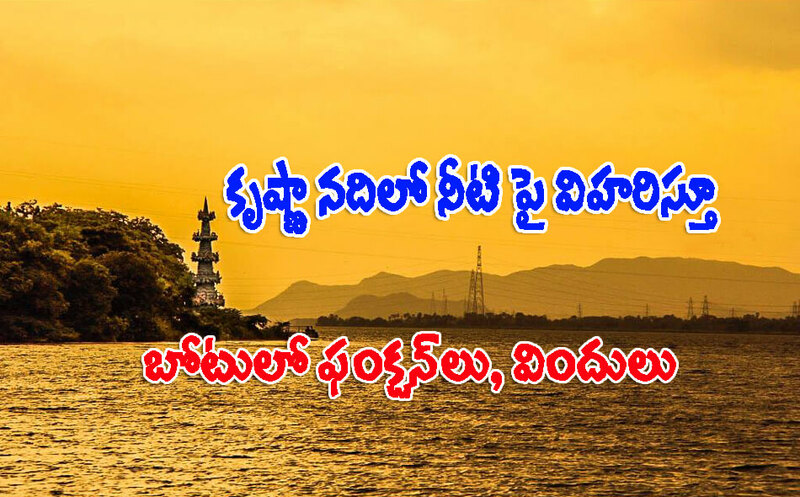 Now you can float on Krishna River using a boat and do your functions and parties. Champions Company from Kerala is building a big boat which can accommodate upto 400 people at a time and carry on your parties and functions on Krishna River. They are building this boat since the past six months, with Rs.2 crores budget. They are using a special wood to prepare the boat, which is brought from Kerala, Goa and Pondicherry. The boat would be weighing around 90 tones and it can accommodate upto 400 persons. This boat also has 3 AC Bedrooms.